From our trees to your hearts, we take great care to ensure that Wonderful Pistachios are of the highest quality. Roasted to perfection with just a touch of salt, Wonderful Pistachios are great for snacking and entertaining. From growing to harvesting to roasting and packing – we control the entire process. We believe this makes for the best quality and best tasting pistachios. 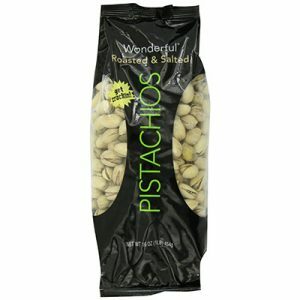 Roasted to perfection with just a touch of salt, Wonderful Pistachios are great for snacking and entertaining.